As the threat of nuclear war creeps closer to Doomsday, it’s time to think about the collateral damage of nuclear war. Hibakusha Stories is a New York-based UN affiliated grassroots think-tank exploring the harm of atomic bombs. Dramatically, artistically, and intimately, they present the perspective of survivors from atomic bomb attacks in 1945. Hibakusha Stories is unique in that it is home-grown, American, and focuses on education through coordinating, preserving, and sharing the stories of those who suffered the devastation of the nuclear bombing in Hiroshima and Nagasaki that August. These nuclear bomb survivors are called hibakusha, in Japanese meaning “bomb-affected people” or less literally, “survivors of either of the atomic bomb attacks on Hiroshima and Nagasaki.” Many now in their seventies and eighties were young children or teens when the bombs were dropped in Japan. Their first-hand accounts in personal documentary interviews portray the human range of emotions, and depth of trauma because of what happened that day. Hibakusha Stories‘ purpose is to share and educate young people in elementary schools and colleges on the dangers of nuclear war based on real history. Ultimately, it aspires to teach American people the values and advantages of a world without war, without nuclear bombs, without radioactive contamination. In fact for many years Japanese atomic bomb survivors were shunned by Americans and Japanese alike. The American military based in Japan was far more interested in documenting the destructive effects on the ground than in treatment of the wounded. 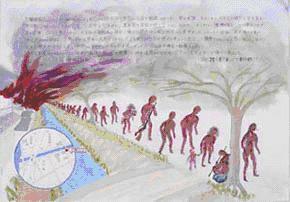 The defeated Japanese only gradually realized the fatal harm of radiation poisoning. Many were so afraid they avoided contact and discriminated against Hiroshima and Nagasaki victims. It took decades for activists and theorists to develop the knowledge, strength, and wisdom to learn from radiation victims a new langue for peace rhetoric. Through the efforts and support of international peace organizations decades later, hibakusha realized they had a story worth sharing with the world. Wherever they resettled, Brazil, US, Korea, Europe, they continued to suffer flashbacks from the day that changed their lives forever. Rather than keep toiling in their silence and pain, they understood that the path to recovery requires recognition of what took place. 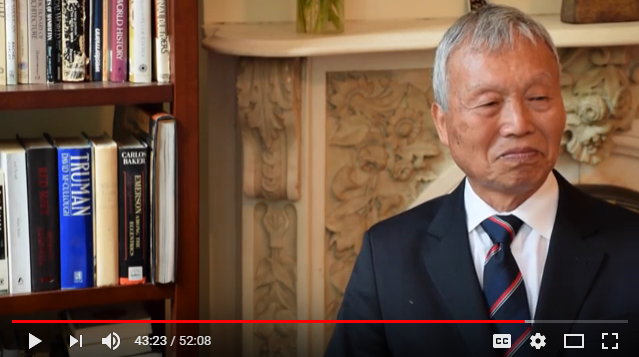 It is the uniquely personal perspective of the hibakusha which bring forth our knowledge and understanding about why many survivors have become advocates for peace and nuclear disarmament. A silent film produced by Hibakusha Stories was featured in the Disarmament Exhibit at the United Nations in New York recently. 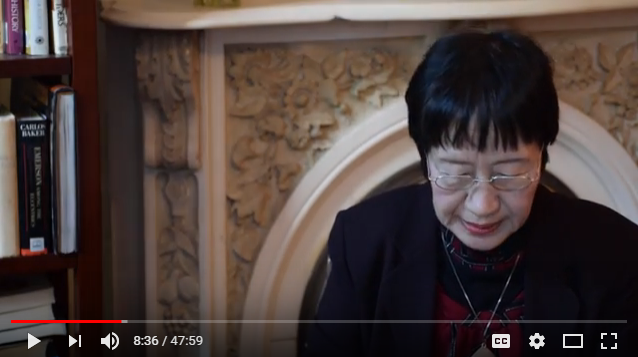 In only a few minutes, Hibakusha Fellows Toshiko Tanaka, Hideo Matsuno, and Kunihiko Bonkahara convey the shocking impact of Hiroshima and Nagasaki. 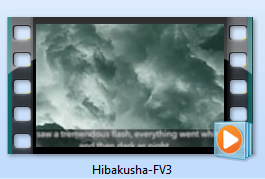 The link to this film is available under Online Hibakusha Testimonies and also available at the United Nations Disarmament Education Films (silent video titled “Messages from Hibakusha”). Hibakusha Stories was founded by Robert Croonquist and Dr. Kathleen Sullivan is the educational director. A dedicated group of seasoned artist-activists serve the board and provide partnerships with the metropolitan foundations. For instance, there is an entire team devoted to curricula development and educational presentation. Other activities include musical galas, and sponsoring Hibakusha Fellows who travel to New York to learn and participate in peace education, disarmament initiatives, and share their stories in schoolrooms. An official UN-affiliated NGO, much of its educational resources and information is available for free or supported by donations. Under curriculum are many innovative ideas, such as “We Almost Lost North Carolina,” which is tailored to appeal to American audiences and culture. Under the Classroom Resources are a variety of multimedia, such as videos, films, and artwork. The videos which caught my attention are the personal interviews conducted by Robert Croonquist, filmed by Ari Beser, with the help of translator Sumiko Hatakeyama. One hour interviews, one with Kunihiko Bonkohara, and another with Toshiko Tanaka, were conducted in May 2015, almost 70 years after the dropping of the nuclear bombs on Hiroshima and Nagasaki. 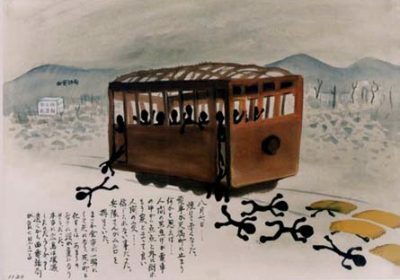 Again and again, the hibakusha survivors describe the surreal landscape within seconds after the nuclear bomb drop, and the extensive changes and suffering both immediately and for generations to come. They write or speak with a gravitas borne out of experience, grief, turmoil, and commitment. The Prohibition Treaty on Nuclear Weapons (PTNW) was adopted in July 7, 2017 and official process for ratification begins on 20 September 2017. Only one day before the International Peace Day on September 21, 2017, will a new Korean war have already ignited? Kim Won-Soo, Under Secretary-General for United Nations Disarmament Affairs, alluded that today one modern nuclear bomb carries hundreds of times in yield than the gravity atomic bombs in 1945. The Ministry of Foreign Affairs (MOFA) compassionately recognizes the historic scale of destruction. MOFA Japan intends to educate and promote nuclear disarmament and nonproliferation. Available under UN Disarmament Education Film is “What Happened That Day?” released by MOFA Japan in 2015, the 70th anniversary. A careful archaeological reconstruction, MOFA’s 30-minute computer-graphic animated film depicts the peaceful castle-town of Hiroshima transformed after the bomb dropped. Included are historic photos, personal testimonies, art depictions, and a brief walk-through the Peace Memorial Park. There are many nuclear disarmament organizations around the world, including Peace Boat from Japan, but Hibakusha Stories, and the UN Disarmament Affairs Education are vital archival resources for refueling the American people’s collective determination to promote peace in the Age of War.